75 winners weekly (for 5 weeks) : A fully paid 2 Days 1 Night stay at a secret location for you and a friend to party like never before! Step up to the challenge and get the most correct answer in the fastest possible time. The more correct answers you get in the fastest time, the better your chances are at getting invites to Asia's most epic party! Keep stepping up to improve your time and your chances. 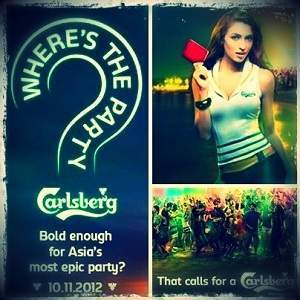 Visit Carlsberg: Where's the Party contest page for more details. Sleepy? Forgetful? feeling tired all the time? If these describe you, maybe you want to try THIS!